An ape maxilla (upper jaw) from the Late Miocene found in the Kutch basin, in western India, significantly extends the southern range of ancient apes in the Indian Peninsula, according to a study by Ansuya Bhandari from the Birbal Sahni Institute of Palaeosciences, Lucknow, India, and colleagues. Apes, or hominoids, are a group of primates from Africa and Southeast Asia that includes the gibbons and the great apes: chimps, orangutans, gorillas, and humans. Ancient ape remains from Miocene deposits in the Siwaliks of India and Pakistan have been key for understanding the evolution of great apes and humans. 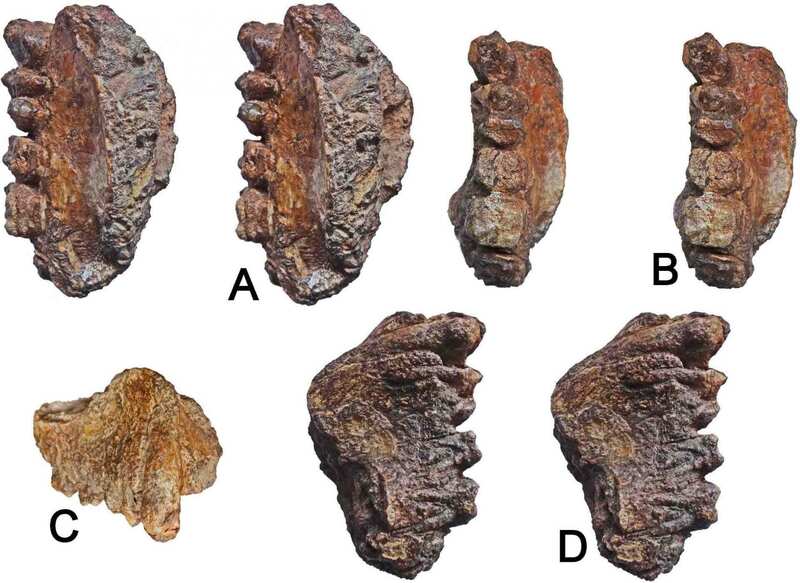 In this study, the researchers examined an ape jaw fragment excavated from the Kutch basin, in the Gujarat state of western India, about 1000 km south of the Siwaliks deposits. X-ray computed-tomography revealed details of the preserved canine and cheek teeth, such as the tooth enamel and root structure. The ape mandible belonged to an adult individual of the Sivapithecus genus, but the species could not be identified. The authors dated the specimen to the basal Late Miocene, around 11 to 10 million years ago based on previous mammalian fossil findings in the site. The new finding is the first Miocene ape fossil to be discovered so far south in the Indian peninsula, and extends the southern range of ancient apes in the subcontinent by about 1000 km.